This is a recap of my personal experience. 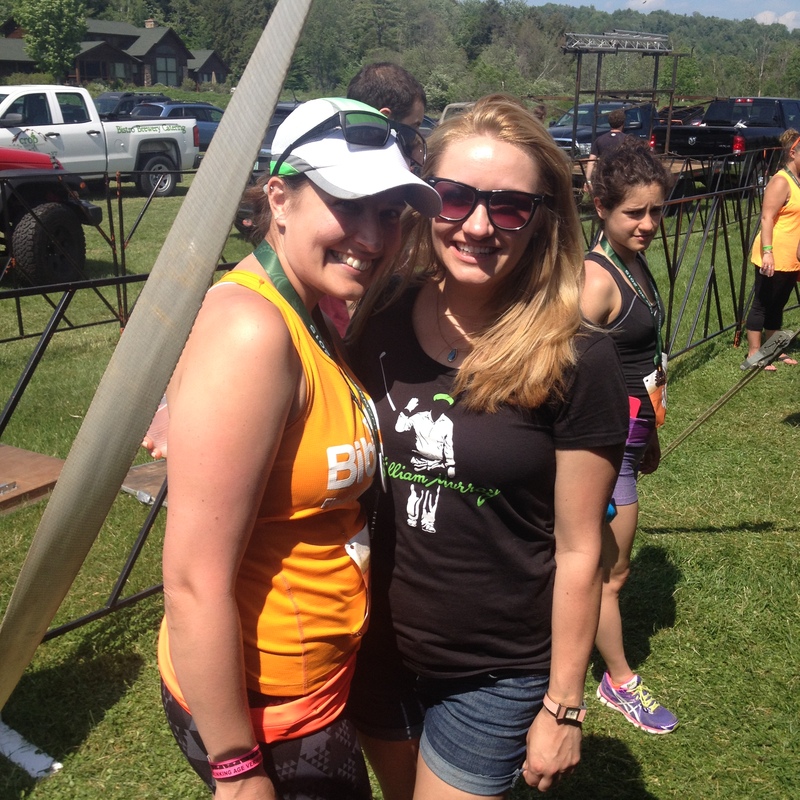 If you’re looking for more nitty gritty race details, check out my BibRave review here. Don’t forget to review all your races on BibRave.com! Ben and I had a leisurely morning hanging around the house, then left at about 10:45 for the 40ish minute drive over the mountain to Stowe. I wish we’d left a bit earlier, because traffic was pretty bad. We parked at about 11:50 and hightailed it to the registration area. There was a big clump of people waiting for bib pickup, and a lady screaming that in order to get our bibs, we’d need to go to a separate area to figure out our bib numbers. I was immediately pissed that they hadn’t emailed this information out beforehand. Add to that the fact that there were 6 “lines” for different number ranges crammed into about 10 feet worth of tent and it was kind of a disaster. Eventually we got sorted, got our bibs pinned on and ran over to the plentiful port-a-potties. I came out and Ben wasn’t where I thought he was going to be, and I didn’t see him anywhere, so I just made my way to the start, and got there in the nick of time–the crowd was already moving by the time I got to the start area! I started out at an easy pace, feeling good and excited to run. Within the first 5 minutes Ben passed me from behind, and I didn’t see him again until after the race. The first mile was great-sunny and warm but not awful, and a family set up a beer station right at the one mile marker. I didn’t stop because I was on the opposite side of the road. During mile 2, I started to get very hot and uncomfortable. There wasn’t a lot of shade. There was a water station at about the 1.5 mile mark, but it was SUPER congested, because it was right where the route turned from a road onto a narrow bike bath, and there was actually a line forming up for water. I didn’t want to stop, which, in retrospect, was a mistake. The bike path was a nice change, because there was actually a little bit of shade, but even so, the afternoon was really hot and humid. During mile 3, I had to take a couple of walk breaks, just to re-set my mind a bit. As I came into the final 0.1 mile, I saw Ben near the finish line. He gave me a high five and I sprinted in for the finish. I was feeling pretty gross, and I got a little pissy because I was standing next to a volunteer who was handing out medals and water. I was waiting for her to finish untangling a medal, and when she was done, she literally looked right at me, huffing and puffing, and turned away from me to hand a medal and water bottle to someone else. I was about to say something not very nice when another volunteer did an amazing stealth pass and slipped a water bottle and medal into my hands. It was pretty awesome. I met up with Ben and we went to change out of our running shoes and into flip flops. Pro-tip–always bring a change of shoes for after a race. Your sweaty, swollen feet will thank you. After that, the afternoon was spent blissfully chowing down on food truck tacos and sampling tasty brews. We ran into our friends Hannah and Jayden (Elle and Emmett in my recent production of Legally Blonde), and had a great time hanging out. I’m not even mad that I didn’t achieve my two running related goals. I had a feeling Ben was going to sneak attack a win (what a butthead), and it was WAY too hot to worry about my pace. I should have thought about that whole noon start time thing before setting any time goals. Have you ever had a volunteer snub you when you were desperate for water? 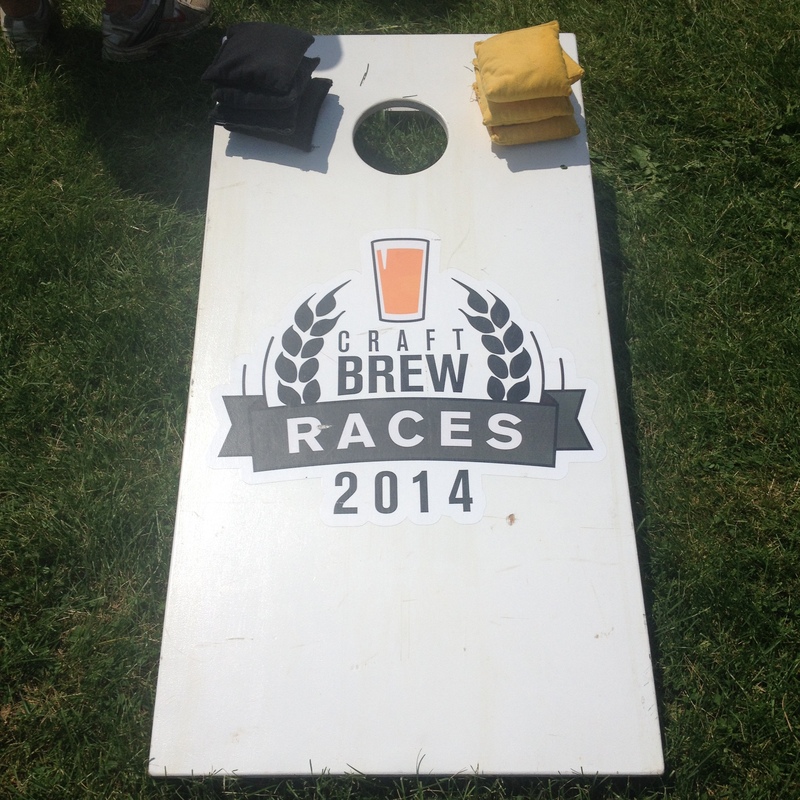 Have you ever done a Craft Brew Race? How cool you got a medal for a 5K!!! I’ve always been lucky and had nice volunteers at races. Sorry to hear you had a rude one! That was the first time I’ve ever had a negative volunteer experience. I’m sure she just had something else on her mind, but in the moment I was not a happy camper! You were out there. You finished and got a medal. It’s still a win-win. Great recap! I have also never had a bad volunteer experience … only awesomeness! That would annoy me as well. 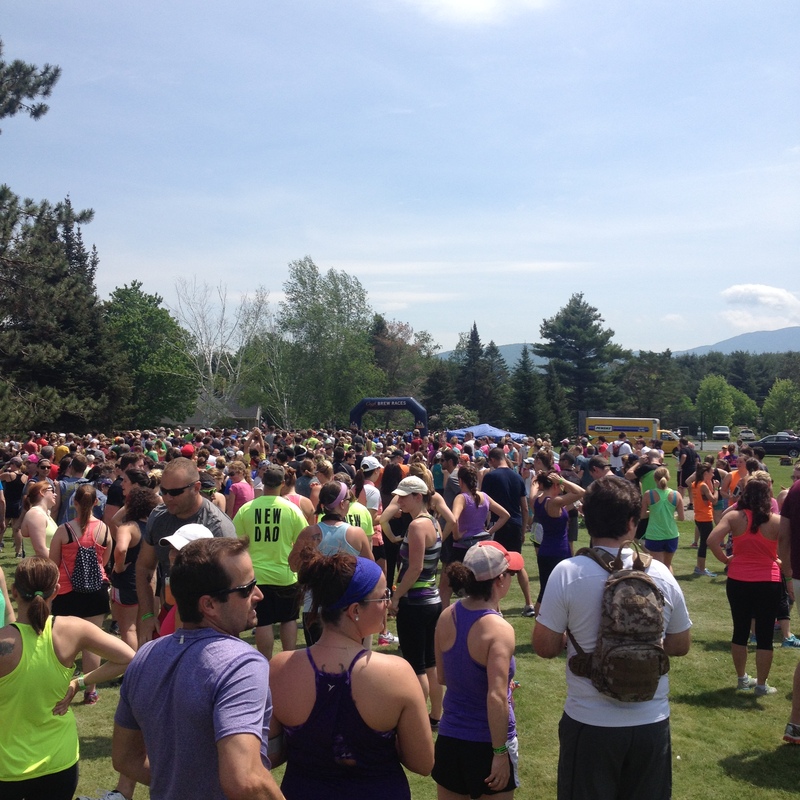 Never had a beer or any alcohol right after a race … but a 5k seems perfect for that! It certainly was–especially with a 4 tacos for $10 deal! 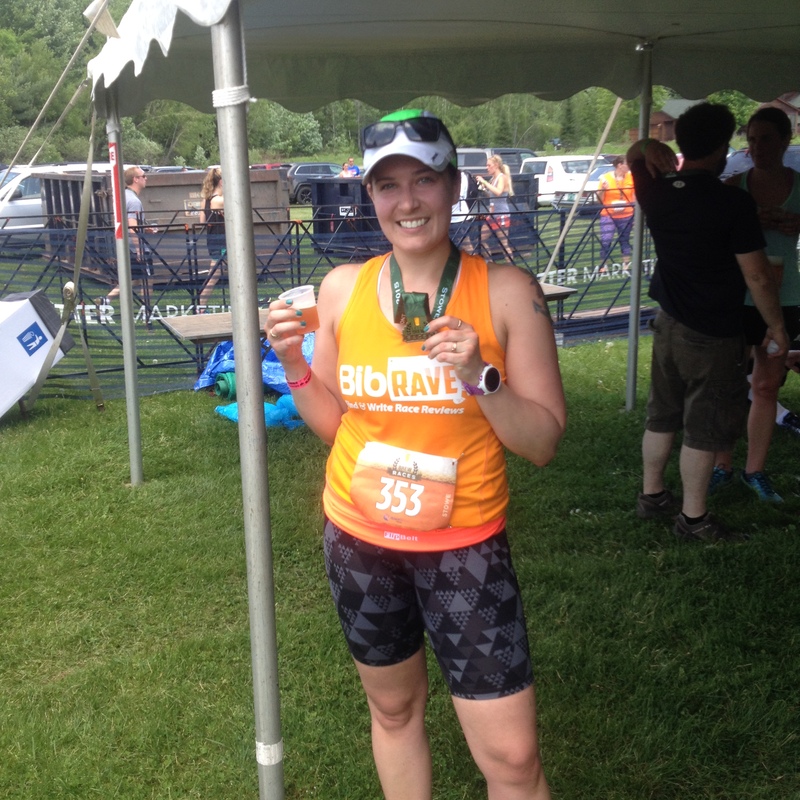 I reviewed the race on BibRave and on my blog, and posted the reviews on Twitter. CBR actually tweeted me “thanks for the input,” so maybe they’ll improve? Congrats on your race! I know I complain about our early start times but 12:00?? That’s late for a June race, ouch! That sounds more like just surviving than a race. 😦 It’s cool that you got a medal for a 5k! It was a little bit more survival than race during mile 3, but I made it! Haha this sounds like a fun race! Minus the heat and the crappy volunteers. I always wanted to run some sort of beer-themed race because even though I’m not a big drinker, I do like a good beer every once in a while. Congrats on not getting wasted or punching that volunteer in the face! Nicely done, Ben!! And your time was great too! I love that you guys stopped after the race and went for an all-clothes-on swim! I’ve dealt with some not so great volunteers before, but that one was pretty darn rude to you! I’m glad the other one was nearby for that stealth handover.